In tournament poker today the landscape is nearly one of chaos. With differing structures, rules and cash distribution levels, people who play the tournament circuit for any amount of time can run into a variety of significant differences from which there are no recourse. 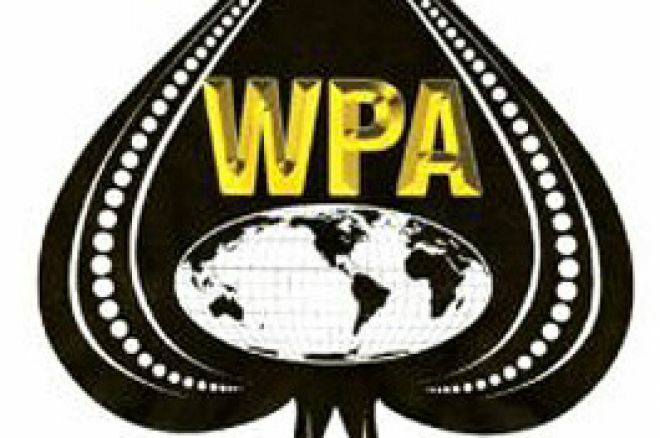 One organization that is looking to change the way the tournament poker world exists today came into existence with the announcement on March 27th of the debut of the World Poker Association. "The time is now for the poker world to unite, for all in the poker industry to come together and establish a strong governing body where everyone from the professional player to the casinos to the poker tours has a voice in the future of tournament poker," flatly stated Jesse Jones, the founder of the World Poker Association. "Together we can propel tournament poker to its place among the great professional sports." Jones should know what he is talking about; he is a highly respected longtime professional poker player who has had a great deal of success from his exploits in tournaments around the world, including the 2006 Aussie Millions speed poker tournament and, most recently, the 2006 WPT Invitational, in which he finished fourth. He also seems to have the support of many other professionals in the poker world, which was made public during the announcement of the birth of the organization during a press conference Monday. In the last five years, tournament poker has exploded onto the worldwide consciousness. In the World Series of Poker Championship Event alone, participation has increased almost tenfold, with the same proportionate increase in the prize pool as well. "Now more than ever we need an organization such as the WPA," explained Jones. The desire of the WPA is to be the governing body of the sport of poker, much like the PGA is the governing body of golf. Through the efforts of the non-profit organization, the WPA will attempt to implement a standard for tournaments throughout the industry. "We are not, nor will we ever be, directly affiliated with any for-profit entity or tour," Jones was quick to state during the conference. "The WPA will establish uniformity throughout tournament poker by creating rules and regulations, by establishing a much needed codes of ethics and conduct, an emphasis on players' rights and benefits and an internationally recognized ranking system." It is desired by the WPA that membership will encompass the entirety of the poker industry. While it is firmly recognized that professional and amateur players will be the centerpiece of the organization, other segments must have representation as well in the World Poker Association. "Tournament directors are needed for their insight into the industry and dealers are often overlooked in the world of tournament poker," observed Jones during the conference. "Poker organizations and the multitude of tours are vital in the future of tournament poker and their involvement is needed to establish lasting benefits. Once standardized rules are created tours, casinos and online tournaments can easily implement the new rules." There are already many things that separate the World Poker Association from other entities that have attempted to unite the poker world. There seems to be a great deal of support from many players, with founding members that include notable players from around the world. Hendon Mob members Joe Beevers and Barny Boatman join up with 2005 WPT Championship final tablist Rob Hollink of the Netherlands and American professionals Barry Greenstein, Blair Rodman, Kenna James. Steve Brecher and Casey Kastle as just a few of the founding members of the organization. "Some may believe that this organization will fail because of the mentality of poker players themselves," recognized Jones. "People believe that many players are just too self-centered to unite to help the entire industry. I now challenge all poker players to prove these pessimists wrong!" There are other areas where the World Poker Association is different from other entities that have attempted to unite the poker world. Jones noted that other groups have been "for profit" operations, whereas the WPA has been established as a non-profit organization. "I do not now and won't ever accept compensation from this group," Jones added. He also pointed out that instead of an appointed leadership, the WPA will choose a Board of Trustees yearly from the democratic process of an election, where each member will have a hand in the selection of the leadership through voting. Additional information on the organization and membership opportunities can be found at wpapoker.com and the future could indeed be bright for the World Poker Association. This seems to be the first group that has a broad support from many in the poker world, from the players to tournament directors to casinos. We will continue to keep an eye on the WPA and will learn more about the organization in the near future.